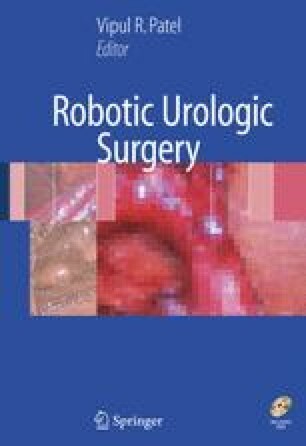 The task of learning robotic prostatectomy can be quite challenging for both novice and experienced open or laparoscopic surgeons alike. Therefore, prior to the first procedure, much training and planning is required as the entire surgical team prepares for the upcoming challenge. The learning curve to achieve basic competency has been estimated to be between 20 to 25 cases.1,2 However, these initial patients are often selected as “ideal candidates” so that the surgical team can ease into the experience. After such cases are performed, the reality of the procedure sets in as one begins to entertain the idea of operating on those with more challenging anatomy.